Last week, the Department of Labor rolled out its final regulations mandating paid sick leave for the employees of federal contractors. According to the DOL, Once fully implemented, more than one million employees of federal contractors will be covered. At the highest of levels, the rule mandates that covered workers earn up to 56 hours (7 work days) of paid sick leave annually. Notably, the rule does not apply retroactively, and only applies to new federal contracts and replacements for expiring contracts on or after January 1, 2017. If you are looking for the details, I recommend Dan Schwartz’s Connecticut Employment Law Blog, which summarizes the various nuts and bolts of the rule. Given that our country has over 125 million full-time employees, why does it matter less than one percent of our workers will receive paid leave as a result of these new regulations? Let me reiterate the point I made when I first wrote about these then-proposed rules earlier this year. These rules matter because they move the needle on the issue of paid leave, even if ever so incrementally. 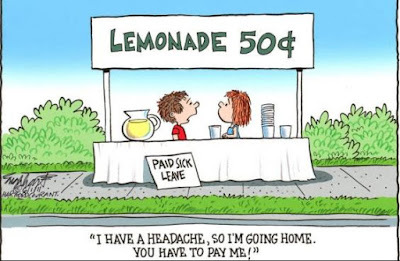 To compete in the job market against those offering federally mandated paid leave, other companies will begin voluntarily offering paid sick leave as a fringe benefit (see Deloitte and Nike). 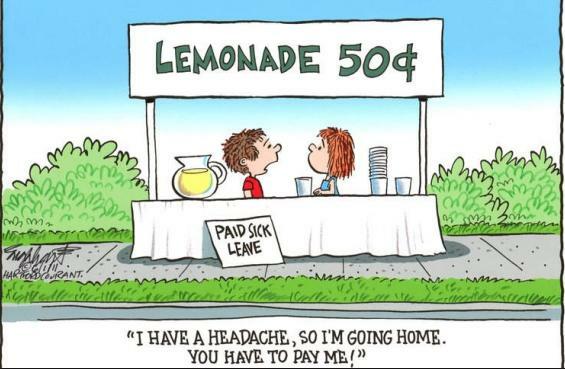 Thus, over time, paid sick leave will spread to most, if not all, employers nationwide. Those of you who’ve been reading for awhile know that I’m not a fan of government mandates. Yet, it is embarrassing that America lags so far behind the rest of the world on employee paid time off. These regulations illustrate what can happen when the private sector delays making necessary changes. Because our nation’s businesses are so out of touch on the issue of paid leave, the government is compelled to step in. Bottom line? It's time to get ahead of the curve on the issue of paid sick leave. Given how far we have to catch up, it presents an amazing recruitment and retention opportunity for the American employer. Or, look at it this way. Now is the time to board the paid sick leave train. It's leaving the station one way or the other. The only question is who is going to be the conductor—employers or the government.